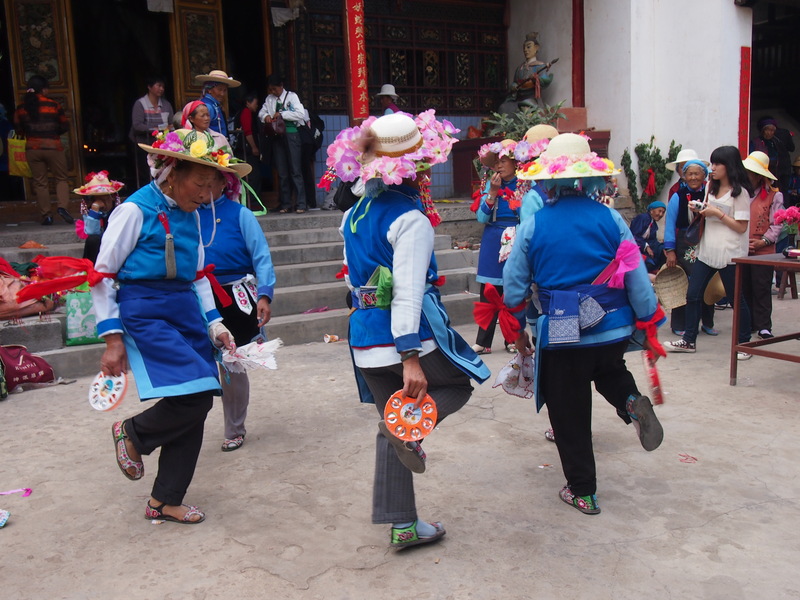 The Rao San Ling festival is celebrated by the Bai community annually near Dali in the Yunnan Province of the People’s Republic of China. 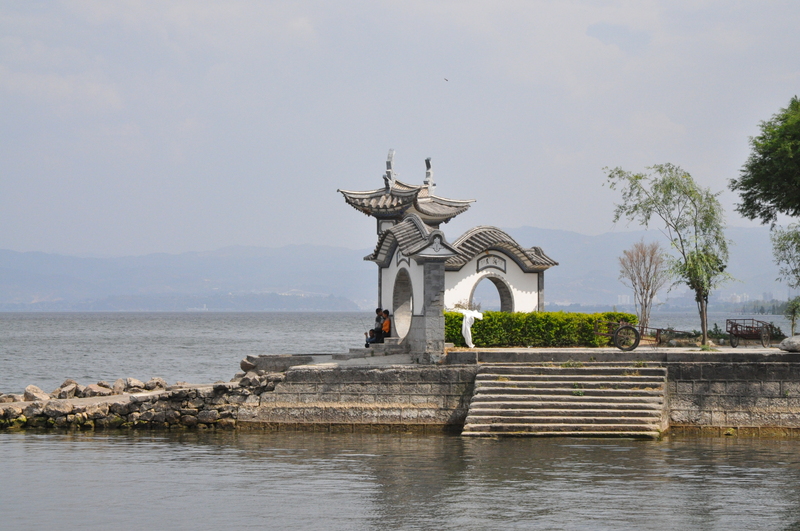 Dali is a city located in between towering Cangshan Mountains and the scenic Erhai Lake. The province is situated in Southwestern P.R. China near Myanmar, Laos, and Vietnam. 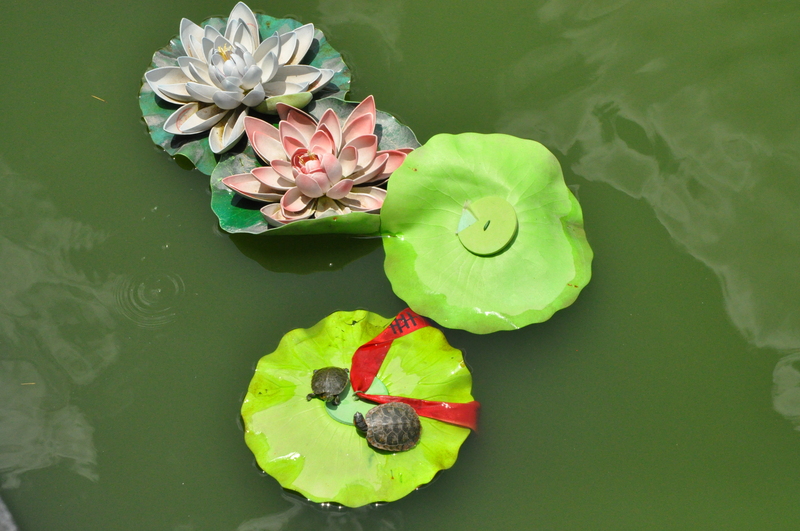 The idyllic setting provides fertile soil for agriculture, farming, and prosperity in the south China basin. 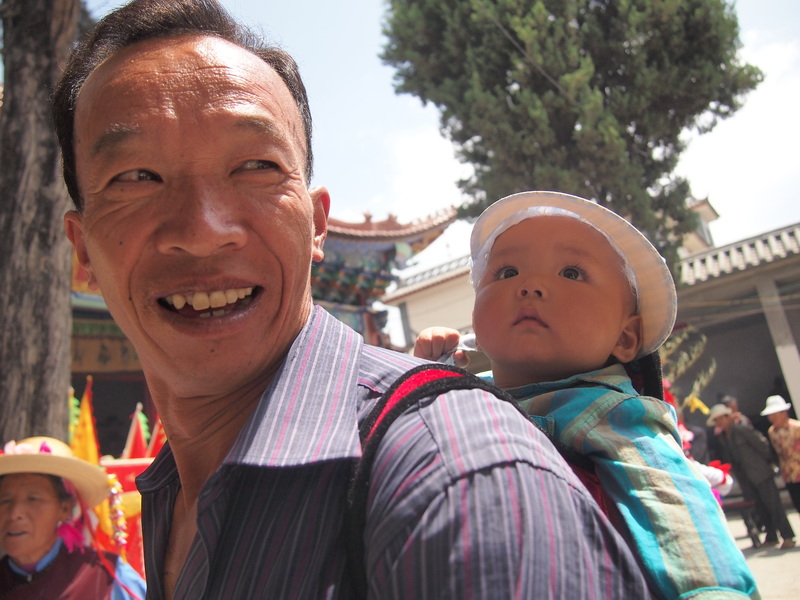 Many families and individuals in the Dali basin partake in the Rao San Ling festival. 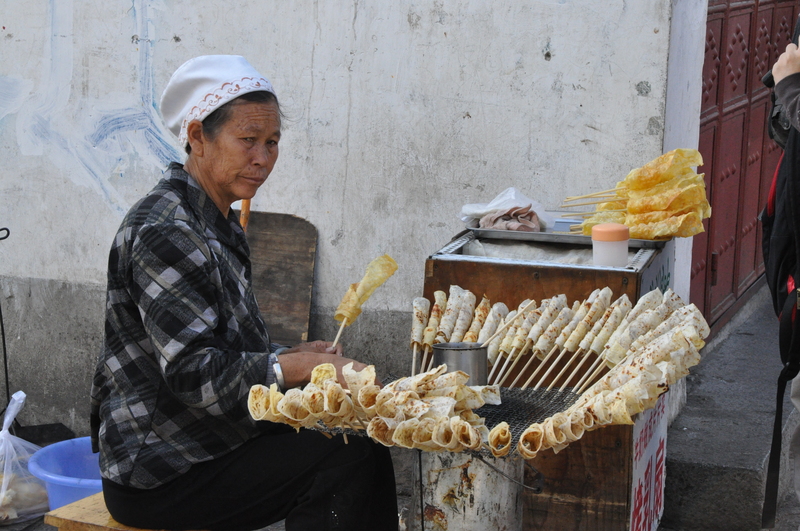 The Bai people inhabiting the region are one of many ethnic minorities in the People’s Republic of China. 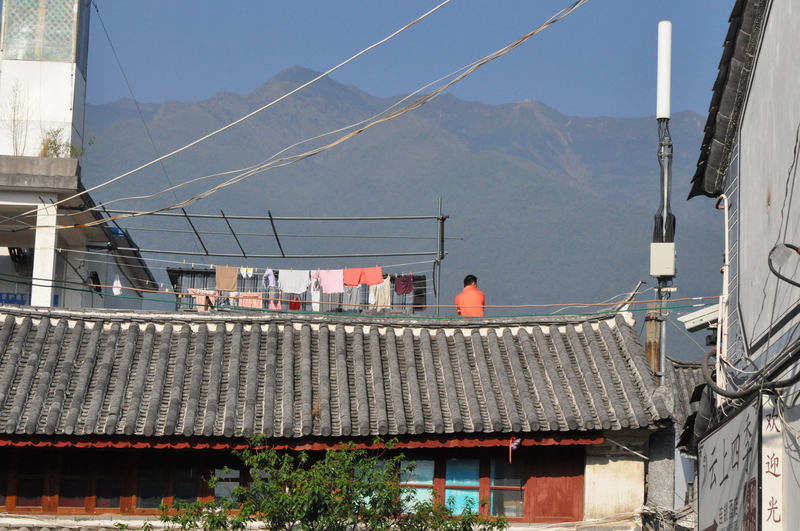 Many villages and towns dot the landscape outside Dali Old Town, in between the Cangshan Mountains and Erhai Lake. 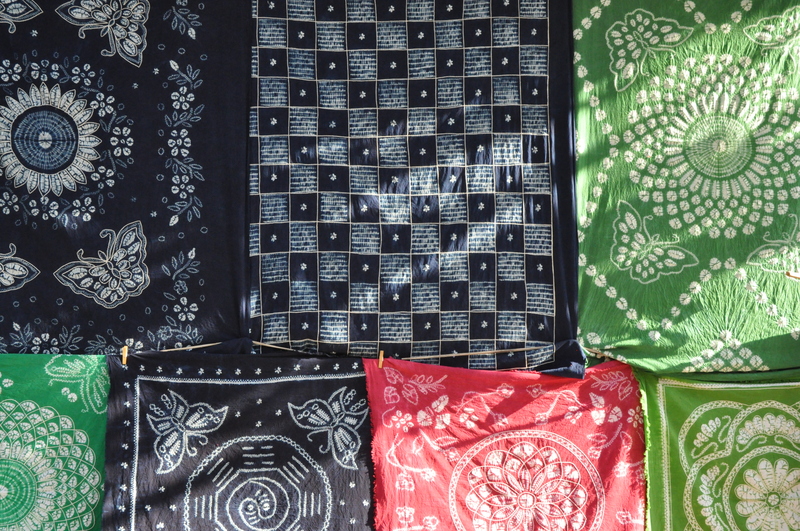 The Bai nationality speaks a developed dialect, which is used by more than a million individuals. 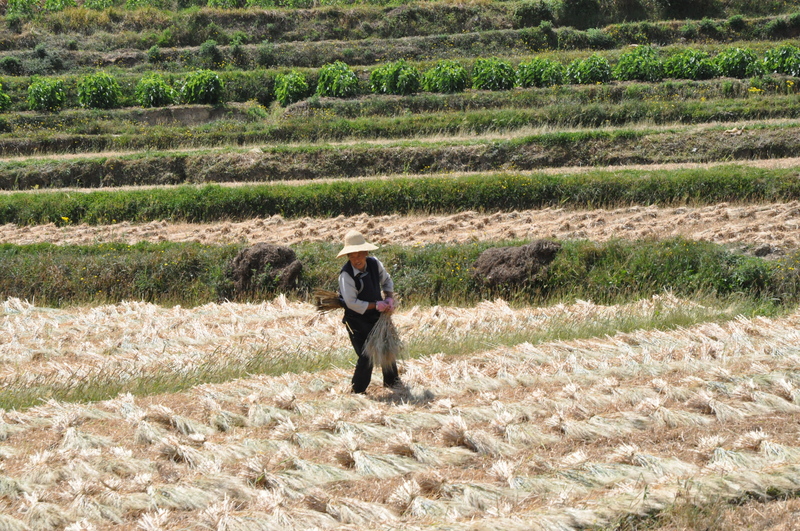 Regions of China with significant Bai populations include mostly the Yunnan, Guizhou, and Hunan provinces. 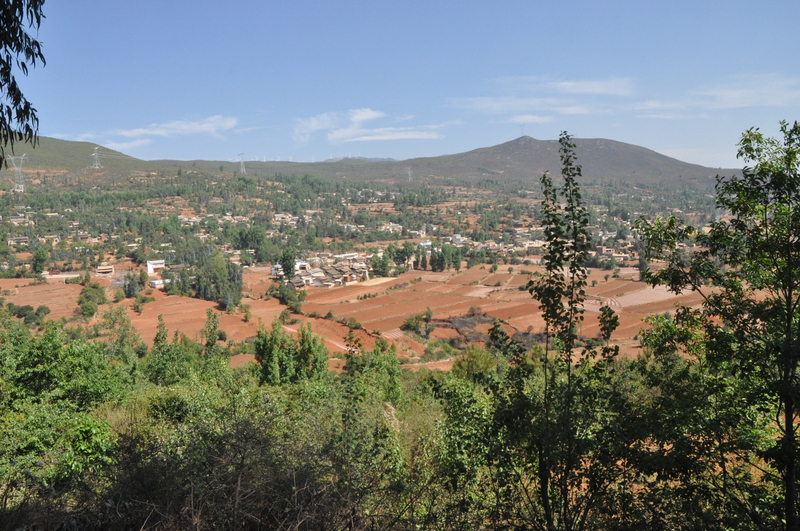 This particular section of ChinaVine only includes fieldwork and documentation from the Yunnan province and the Rao San Ling festival. 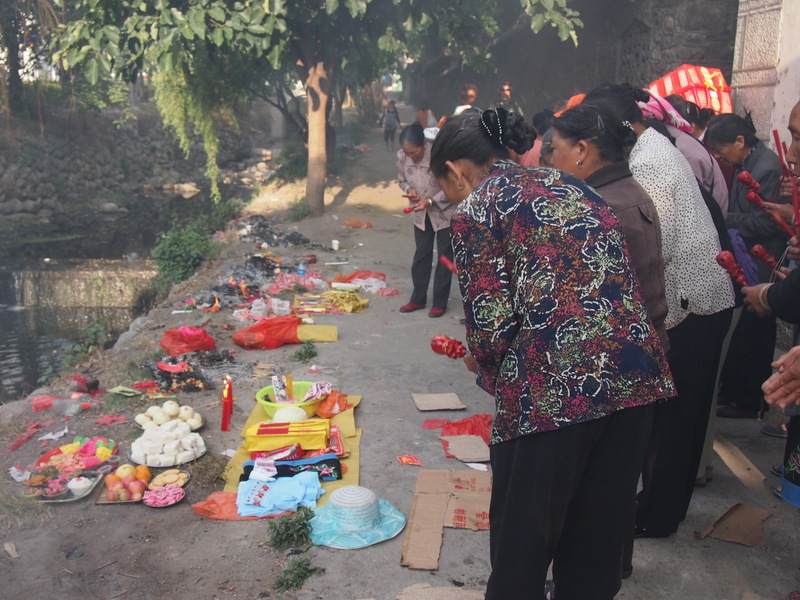 The Rao San Ling festival is celebrated by the Bai people every year from the 22nd-25th day of the fourth month on the Chinese Lunar Calendar. 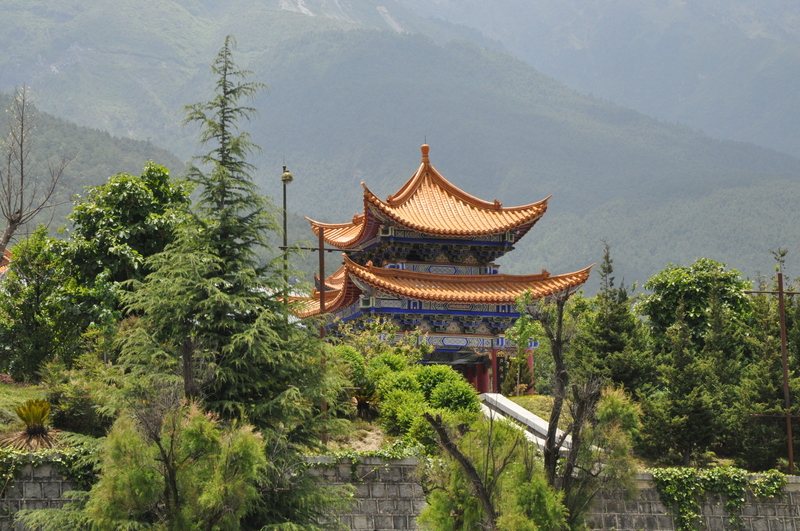 The story of Rao San Ling may vary depending on the storyteller. 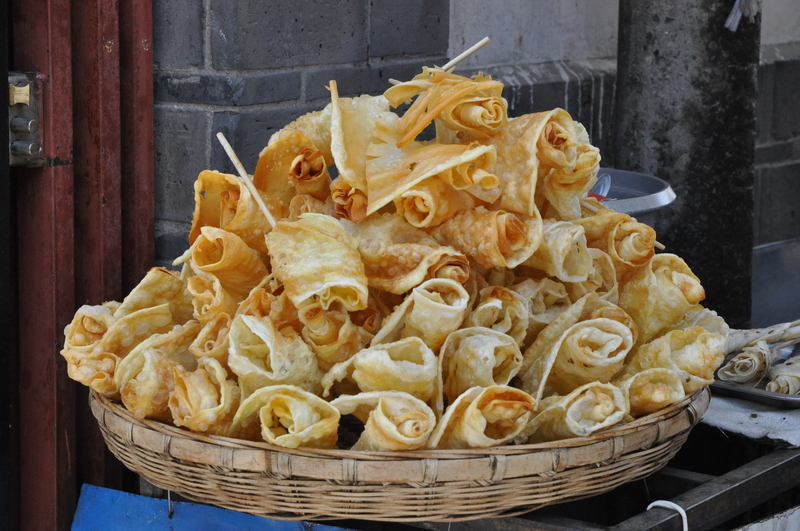 Throughout our time in China, the ChinaVine team received several accounts of the history and purpose of the festival in Xizhou town outside Dali. 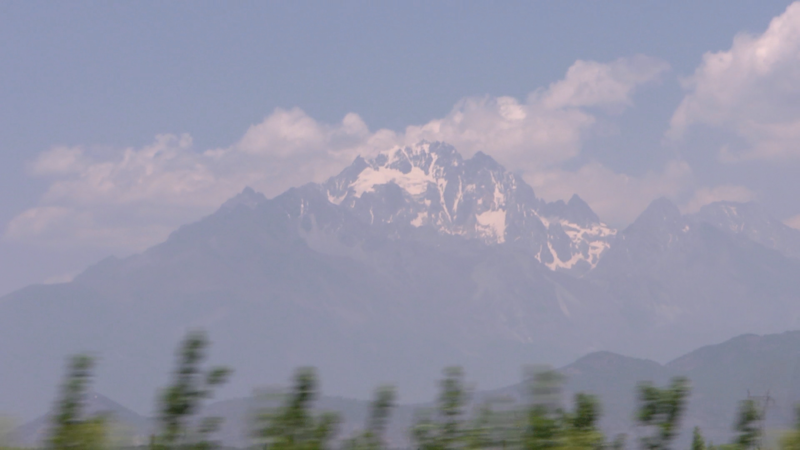 One variation includes the kidnapping, rescue, and return of the beautiful Princess Jingu who bestows health, fortune, and fertility on Bai people in Dali and the surrounding region. 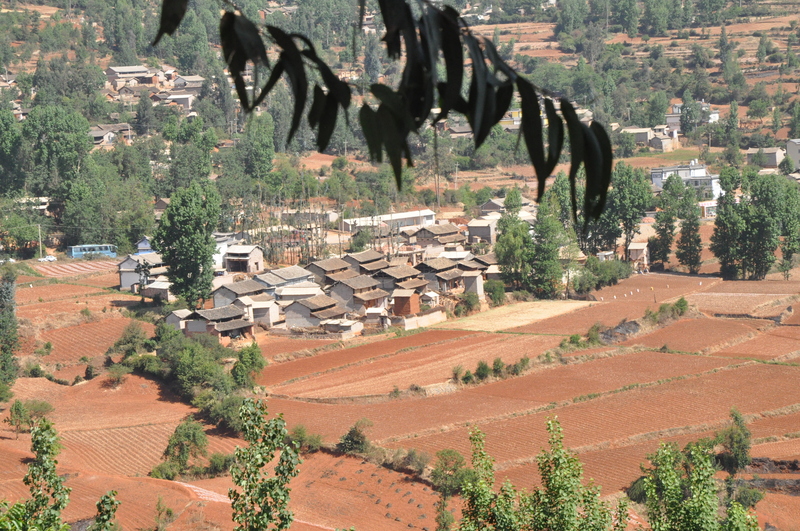 On all accounts, the tradition of the Bai people is to travel and pray to three Temple Gods (Benzhu) in three specific villages throughout the region between the Cangshan Mountains and Erhai Lake. Throughout our fieldwork, the team traveled to these three temples documenting the pilgrimage Bai people traditionally travel. 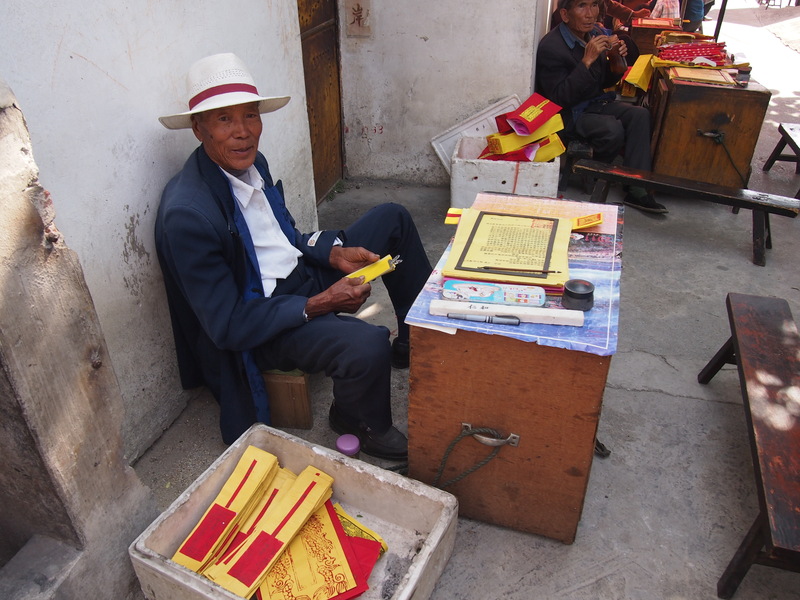 Fieldwork took place from May 7th through 15th, from Beijing to Kunming to Dali and Lijiang. 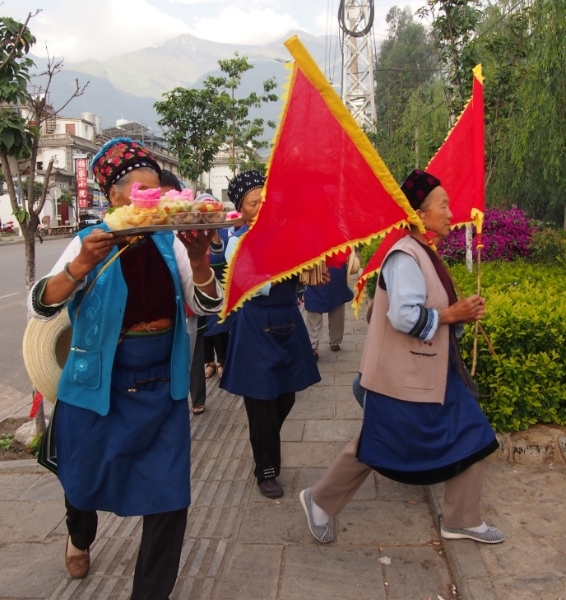 From May 12th-May 15th, the ChinaVine team documented the 2012 Rao San Ling Festival. 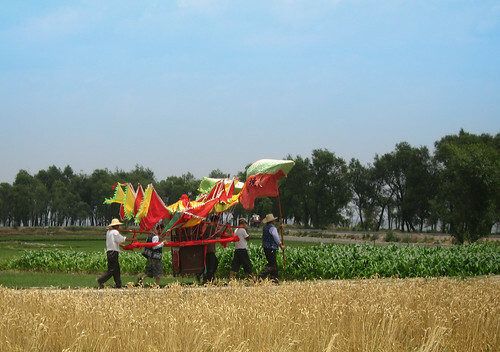 There are public preparations for the festival the day prior to the official beginning (May 12th and 13th, 2012), although not all members of the Bai community partake in these events. 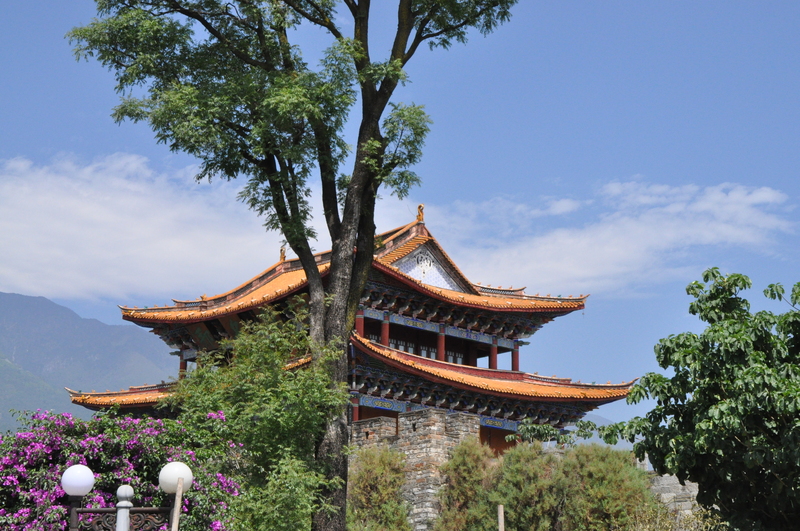 Preparations take place at Cheng Huang Temple near the South Gate of Dali’s Old town surrounded by walls from the Ming dynasty. 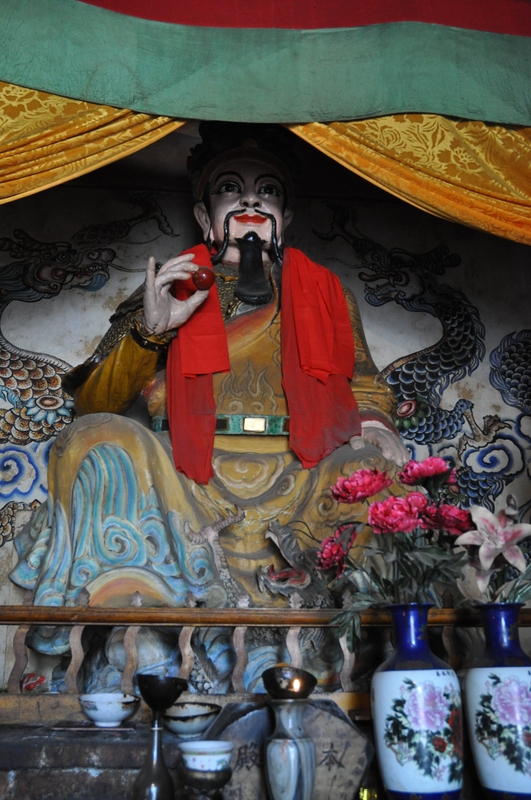 The first day of Rao San Ling initiates at the same location, then migrates to Sheng Yuan Temple in Qing Dong village of Xizhou town, just outside Dali. 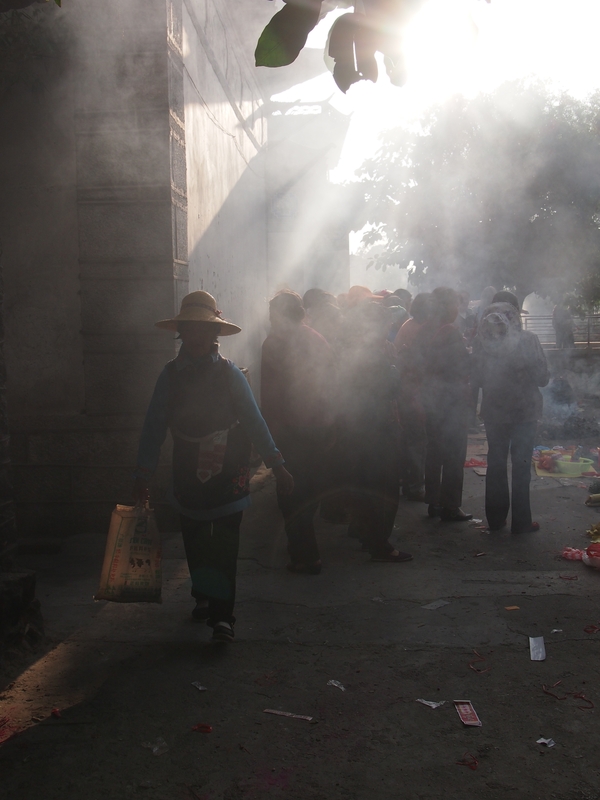 The latter half of the first day for Rao San Ling is a carnival-like event with thousands of attendees. 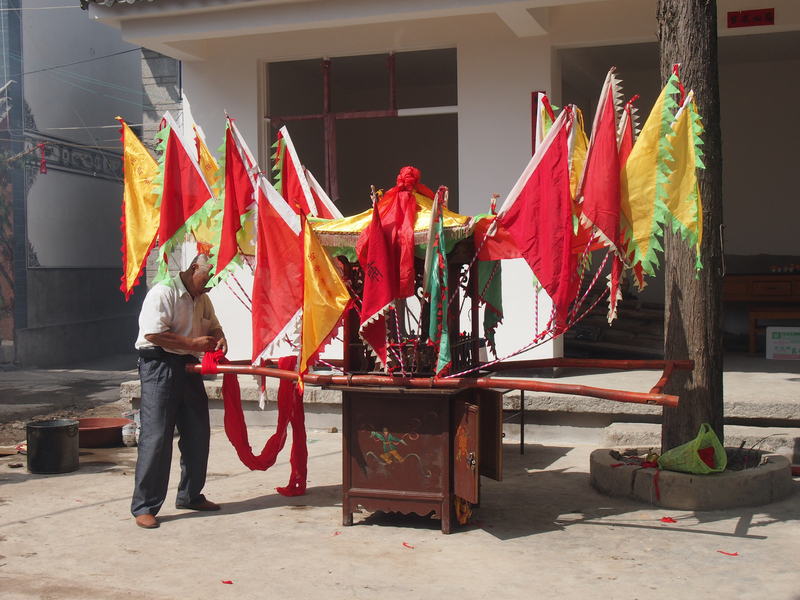 Celebrations include music, singing, dancing, prayer and blessings in the village temple, and an incredible amount of food and visiting the Benzhu (Temple God) at Sheng Yuan Temple. 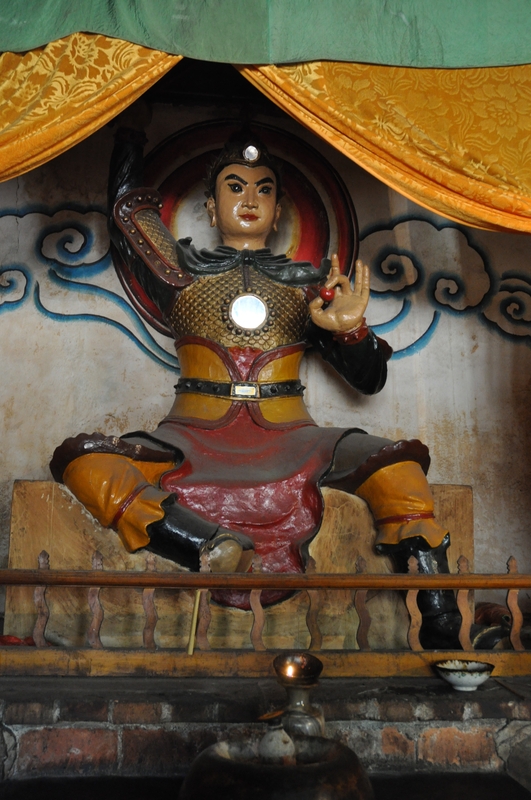 The second day includes traveling to Er He Ci Temple in He Yi Cheng village and visiting the Benzhu, or Temple God. 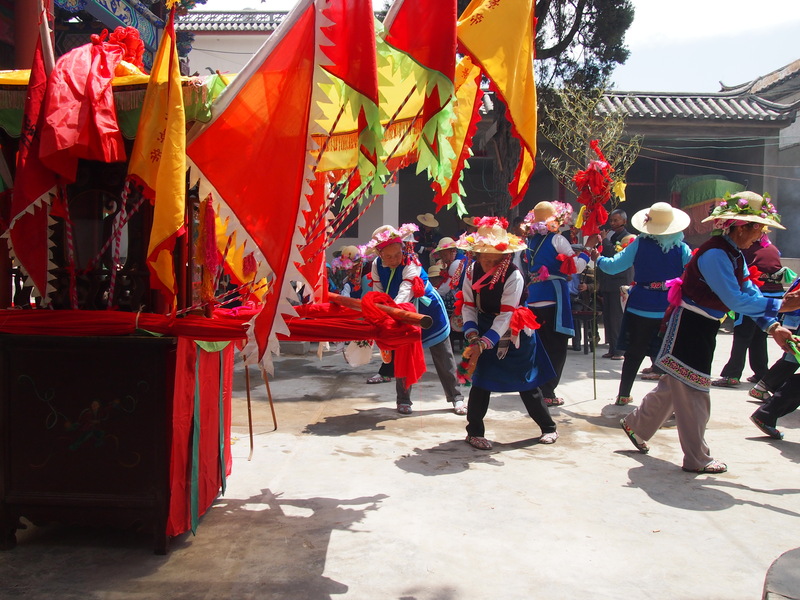 On the third day of the festival, there is a large procession carrying the Pricness Jingu from Wei Mountain and retruning her home near Hu Guo Ci Temple in Ma Jiu Yi Village. 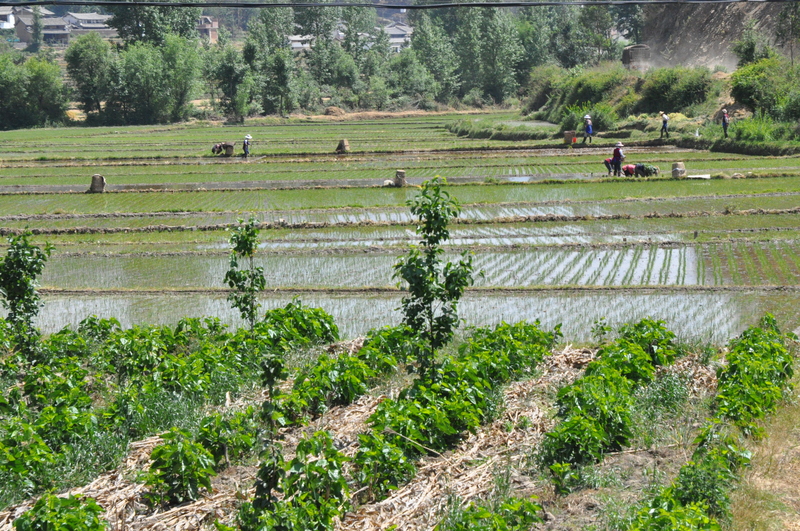 The following video shows examples of the region surrounding Dali, ways of life among the Bai population in the region, and contextual overview of the Rao San Ling festival in the Yunnan Province. 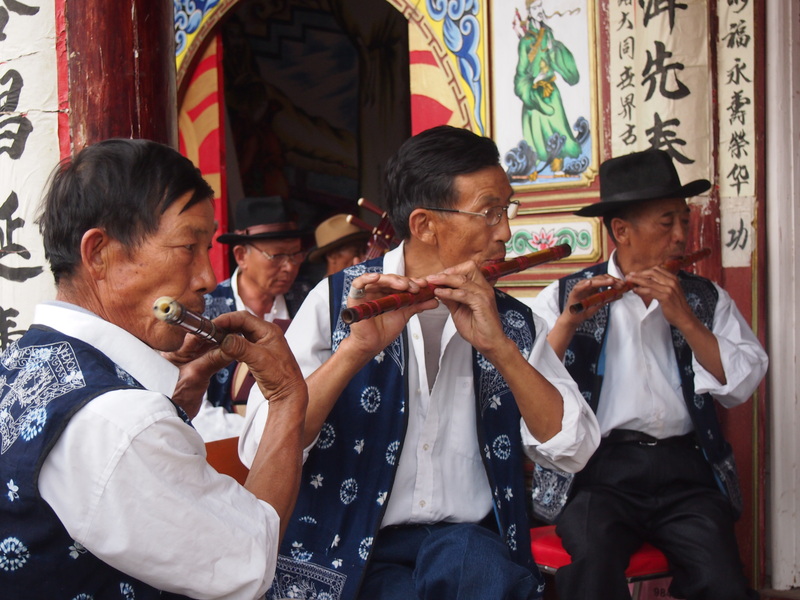 The music was performed live by the Men’s Community Orchestra in He Yi Cheng village on May 14th, 2012. 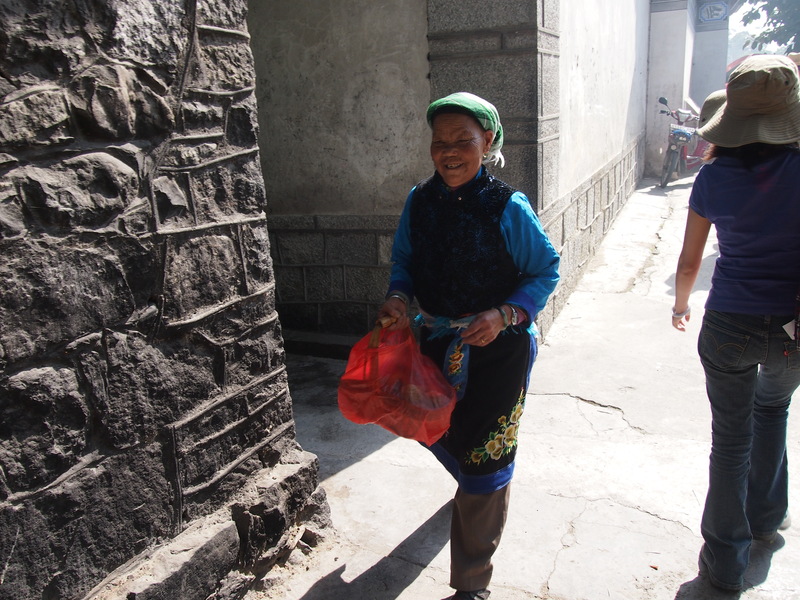 Click here to view many more photos from ChinaVine on Rao San Ling, Dali, the Bai nationality, and surrounding region.